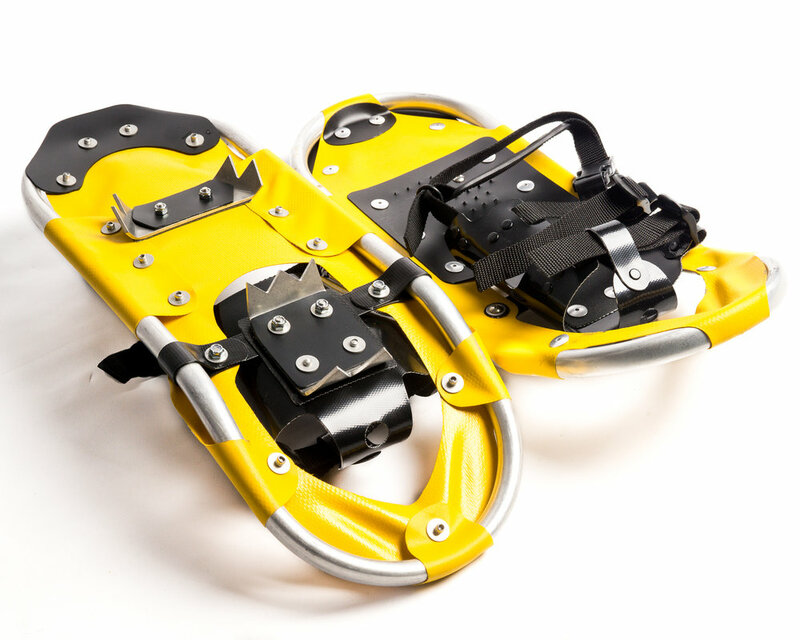 The snowshoe design has been in existence for over 30 years. It has been tested repeatedly in the toughest terrain and snow conditions. Most of the parts are made in the workshop. Machines are used to bend the frames and cut out the individual pieces that make up the snowshoe. Assembly hardware like nuts, screws, buckles and straps are purchased. Raw materials are sourced whenever possible from companies in the US.